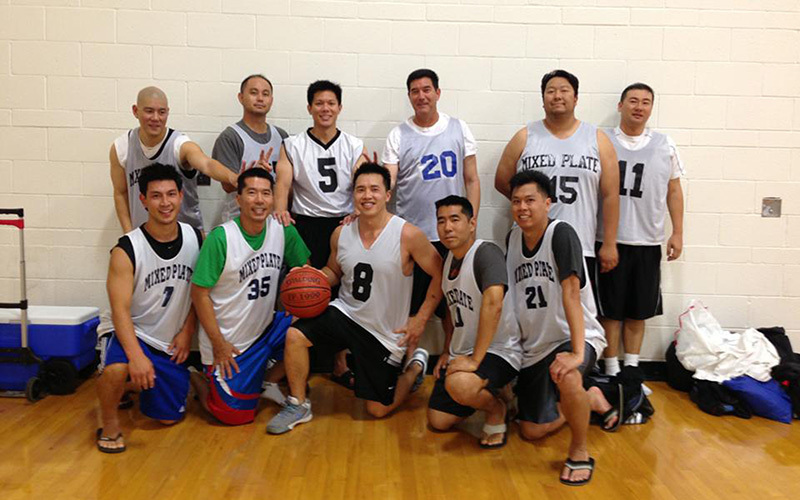 After a few months off to give time for a few people to heal up, we had our 3rd Yelp Basketball meet up. This time around i actually got some one to come out and play as well, as Edward showed up, and showed up to play. We got in about 4 games before my body gave up on me, but two days later i’m still sore. The first few games i was able to run up and down the floor and make a few layups but at the end my legs (and knee) didn’t have it to finish strong to the basket, and i had to walk up on offense. I have to give it up for the gym, that even though the temperatures were climbing to the triple digits in East LA, the gym stayed cool, and well ventilated versus a few other gyms that i’ve played at in the heat. I also met another guy who lives in PV and plays in a monday and friday night open gym play in Harbor City, which would be pretty close for me to get to on some nights. It would feel good to have another regularly scheduled basketball meet up. Check out the rest of my badass moves here.